According to the United States Census Bureau, Crestline has a total area of 14.0 square miles (36 km2). 13.8 square miles (36 km2) of it is land and 0.1 square miles (0.26 km2) of it (1.00%) is water. 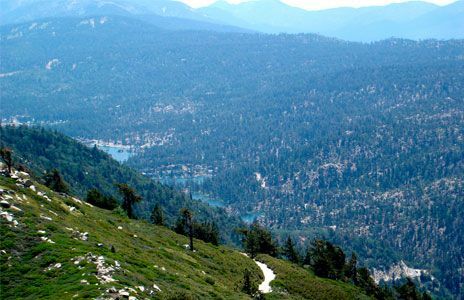 Crestline is located within the San Bernardino National Forest; Lake Gregory is located in the center of Crestline. Running Springs is a mountain community in the San Bernardino Mountains. 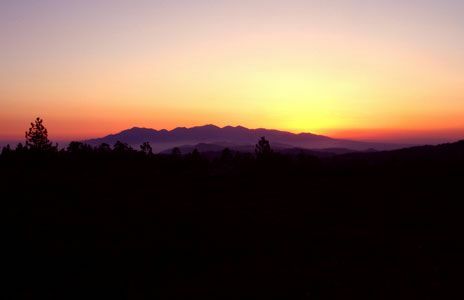 It is an inholding in the San Bernardino National Forest. 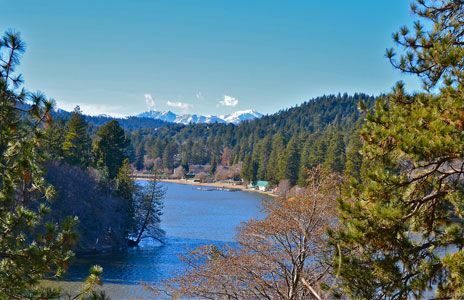 Situated at the junction of SR-18 and SR-330, it is a major gateway to the mountain communities of Lake Arrowhead, Arrowbear, Green Valley Lake, and Big Bear and is the closest community to Snow Valley Mountain Resort. 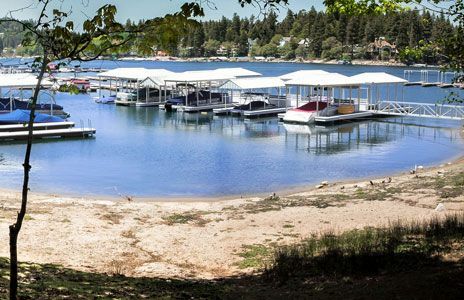 Lake Arrowhead is an unincorporated community and a census-designated place (CDP) in the San Bernardino Mountains of San Bernardino County, California, within the San Bernardino National Forest, surrounding the Lake Arrowhead Reservoir. Lake Arrowhead consists of 6 communities including Lake Arrowhead, Twin Peaks, Blue Jay, Cedar Glen, Sky Forest, and Rim Forest. Tourism is the primary economic generator for the area, contributing several million dollars per year to the county and providing 600 full-time and 700 part-time jobs for local residents, The area is host to over 4 million visitors a year.